HONG KONG, Oct 24, 2018 - (ACN Newswire) - Eyesight, the leading computer vision company which brings Edge-based Computer Vision and AI solutions to the automotive and IoT markets, announced today a $15m growth investment round, led by Jebsen Capital, Arie Capital, Mizrahi Tefahot, among other investors. Already working with some of the world's leading companies, Eyesight will be leveraging the investment to further expand the company's fast-growing Edge Computer Vision and AI footprints. These technologies are key in shaping user interactions in automotive and smart home environments and are critical to human safety in vehicles. The company's Driver Monitoring and Occupancy Monitoring System tracks the drivers' attention on the road and behaviour in the cabin to dramatically reduce the millions of car accidents that occur annually. Eyesight's in-cabin sensing capabilities are set to be increasingly integrated into new vehicles, aligning with the recruitments for such systems in Autonomous vehicles and Euro NCAP's safety recommendations that is calling automakers to include driver monitoring systems in vehicles launched by 2020. 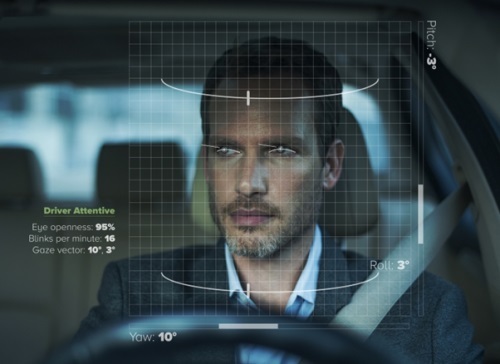 The latest growth round will fuel Eyesight's expansion globally, putting its cabin sensing technologies in additional car models on the road, as one of the market's key technology providers. Eyesight's solution monitors the driver's gaze direction, pupil dilation, eye openness, head position, among other visual attributes to enable alerts when signs of drowsiness or distraction are detected. Eyesight's technology further detects cabin occupancy to enable real-time optimization of safety systems according to passengers present, helping reduce possible injuries and keep passengers safe. The company's proprietary technology is backed by over 22 granted patents, utilizing advanced computer vision and artificial intelligence algorithms to deliver market-leading performance. Eyesight's technology is optimized for edge processing on the device in real-time, offering high accuracy with lean requirements, while ensuring full privacy to the end user. When announcing the funding round, the company also showed off the fruits of its rebranding campaign, including its all-new logo. The new look reflects the company's focus on Edge Computer Vision AI and depicts its sensing capabilities. The logo evokes the nature of the company's inteligent technology inspired by the human eye, scanning and motion used to understand users, their actions, and predict their needs, to deliver enhanced user experiences. Eyesight offers the most advanced edge-based Computer Vision and AI solutions. The company's technology improves daily life experiences in the car, home, and with other consumer electronics, using intelligent interactions that are responsive to users and their actions. The company's technology utilizes proprietary algorithms to deliver a range of applications: from passive sensing with the detection user presence, to active interactions using touch-free gesture control. With Eyesight's technology devices now "see" and "understand" their users, unlocking a world of enhanced user experiences.